Can anyone remember where the Glenns confectionery factory was and also the Lants mineral water factory. I seem to think that Glenns was in the Well Street, Bond Street area and that Lants was nearby, however my memory is not that reliable that I can be sure. I remember visiting Glenns and seeing the sugar boiling section in the 1940's. I think Lants pop was in Bond Street, just behind The Belgrade, or was that Corona.? Hi, Lants used to be where what is now Eden restaurant & I think Glens had premises behind the Belgrade, what is now the Belgrade workshop theatre. Regards. Enjoy life,remember we walk this way but once. 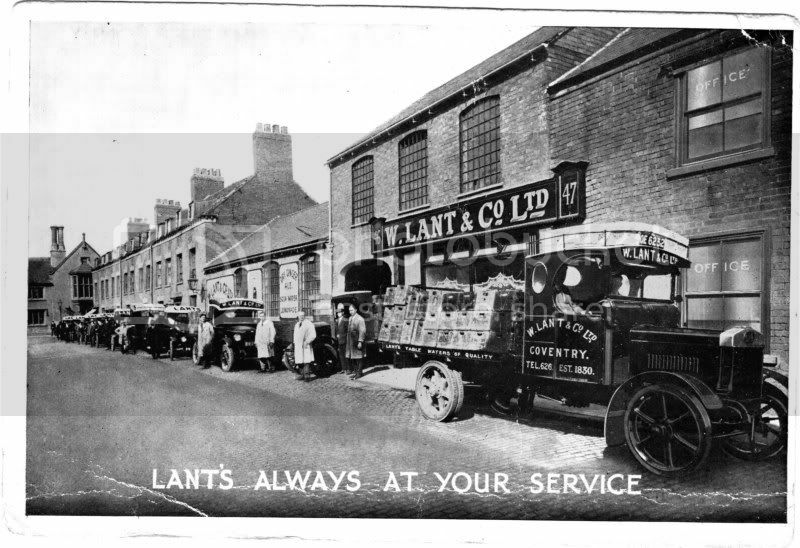 I thought Lant's was in or very near Gas St in the 40s. It wasn't that far, just one street away. Ryley Mills separated the two. Wasn`t the crisp factory (can`t remember their name, possibly Robinsons) somewhere around Gas St? In my misspent youth, the owner and his wife used to drink in the Gas Club when I went there with friends who worked for the `Gas Board`. Yes, it was Robinsons crisps, and I seem to remember they had a "three spires" logo on their packets. As for the Gas Tavern, My great great grandfather was a "general labourer" at the gas works in the 1880's. I can just imagine him dropping into that pub for a drink or two. On 21st Oct 2011 5:20pm, creteskyblue said: Hi, Lants used to be where what is now Eden restaurant & I think Glens had premises behind the Belgrade, what is now the Belgrade workshop theatre. Thanks for the information creteskyblue. My memory is better than I thought. I sort of went off Lants lemonade when I read that Lants was the name used in the wool mills for the store of urine collected for the processing of wool manufacture. On 21st Oct 2011 10:28pm, Greg said: Wasn`t the crisp factory (can`t remember their name, possibly Robinsons) somewhere around Gas St? In my misspent youth, the owner and his wife used to drink in the Gas Club when I went there with friends who worked for the `Gas Board`. I think there was a crisp maker in the Binley area, possibly the Empress buildings in the late 1950's. The name Riley seems to come to mind. This is the view from outside the Town Wall Tavern looking towards their main entrance in Bond Street. By the time I lived there the factory had grown to absorb all of the neighbouring houses and the lorry loading bay moved to Ryley Street just out of picture to the right. Bond's Hospital is clearly visible at the end of the street. Glenn's was to the right of the above picture on the opposite side of Ryley Street. Unlike Lant's they did not welcome visitors! Thank you dutchman. Interesting to see from the photo that Lants was established in 1830. The firm had a long history. I wonder if they started on the same site? Am I right in thinking that they were taken over by R. Whites or did they just close? I remember going to Glenns a few times. My father had a friend who worked there as a sugar boiler. The visits would have been in the late 40's early 50's as sweets were still rationed and I always came away with some. Don't remember any bomb damage but my mind was probably on sweets.